Twenty or so years ago rotisserie was only really thought of as a way to cook a succulent chicken at the deli. In time home appliance manufacturers stepped up to the plate to offer a variety of countertop options. While these units managed to produce a juicy bird, they also left a little something to be desired. For one these countertop units tend to do more than just fill the kitchen with the gentle smell of roasted chicken. Sometimes you were left to smell for the rest of the day. Add to this the fact that they also had a knack for heating up the kitchen. Which might be nice on a crisp fall afternoon, or a quiet snow day. Still, a hot kitchen is the last thing you want to deal with A scorching summer day when it’s everything the air conditioner can do, just to keep the indoor humidity levels bearable! The other thing that indoor rotisserie appliances lack is the ability to add any smoky, fire-kissed flavor to a potentially bland bird. 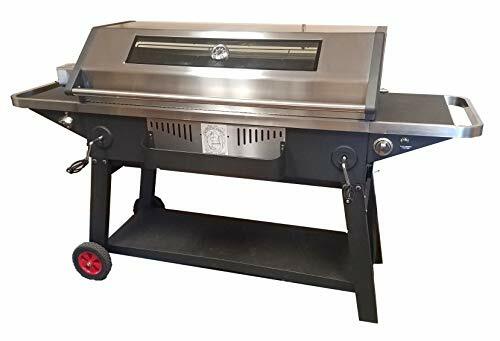 The Smoke Daddy B07ND4MCSB Elite Spit Roaster & Charcoal Grill steps up to the flame to recreate the succulent juicy meat that you enjoy from an indoor or deli rotisserie, while also bringing the flavor and aroma that you can only get from a charcoal flame. The 48-inch spit is heavy duty with it’s 1-inch thick steel square rod. While it’s intended to smoke chickens and even small turkeys, you can use this for a suckling pig. You could also play around with the racks and charcoal trays to fit a small pig or a modest-sized goat. The Smoke Daddy Elite Spit Roaster can be used as a standard, large-capacity charcoal grill. It has two heavy-duty charcoal trays that can be easily reloaded. There is also a propane element in the lower rear portion of the firebox, with an automatic igniter. 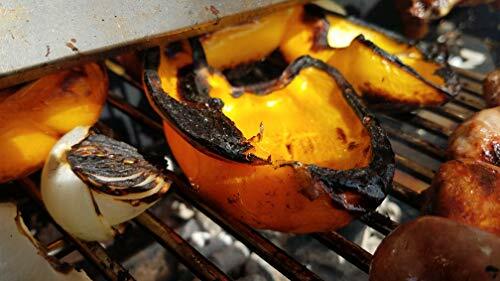 This provides you with the consistent heat of propane as well as the smoky flavor of charcoal. If you set it up just right, you can even use the propane element to get your charcoal burning. It has a large stainless steel warming rack to go with the adjustable grill grates. Underneath there is a large grease and ashtray that helps with clean up. Smoke Daddy doesn’t mess around with quality when it comes to the Elite Spit Roaster. 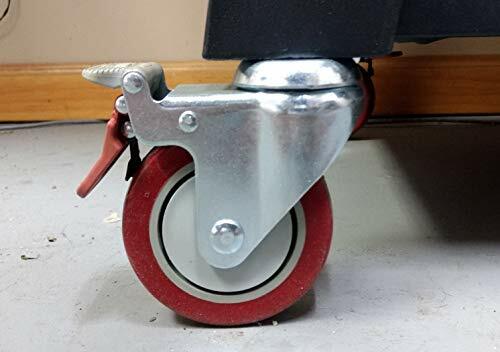 Every part of it was designed to be heavy duty. 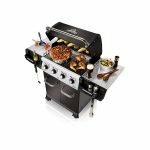 The 48-inch spit is robust, the rotisserie motor is strong and the adjustable charcoal trays are heavy duty. When it comes to assembly, you should expect the Smoke Daddy Elite Spit Roaster to eat up the better part of your Saturday afternoon. Some of the pieces are a little long and awkward to handle on your own. You might want to recruit a friend to help you. 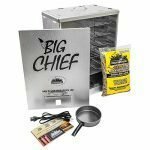 The Smoke Daddy Elite Spit Roaster is very versatile. 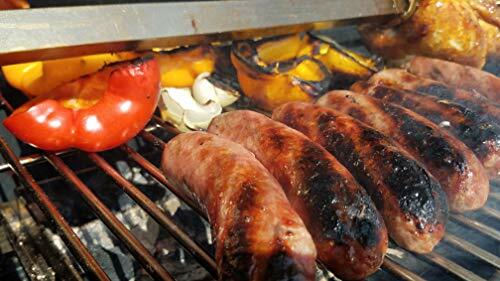 Even when you aren’t using it as a rotisserie it is still a great charcoal grill, with plenty of space to cook for a large family or even the local block party! The charcoal trays are easy to adjust and the damper vents give you superior heat control. 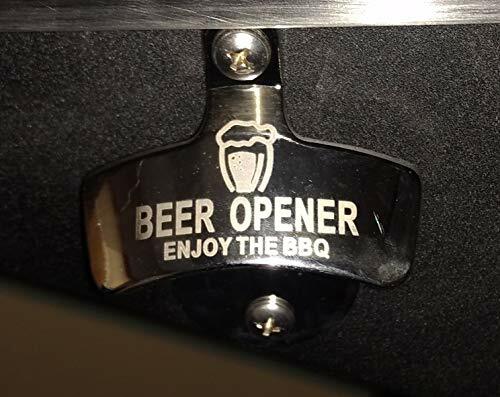 If you want to improvise the Smoke Daddy Elite Spit Roaster as a barbecue pit, you have more than enough room to set up a fire on one side of the firebox, with a large brisket on the other end. 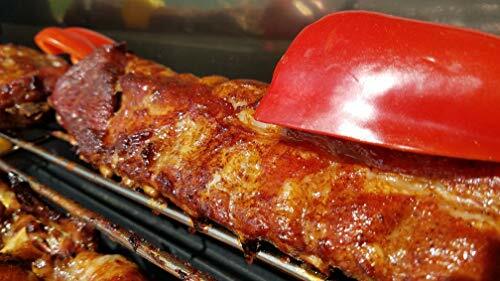 The warming racks are even large enough to handle a properly trimmed rack of ribs or a big mess of riblets. When it comes to the rotisserie feature, you can smoke four to five broiler-fryer chickens at a time. 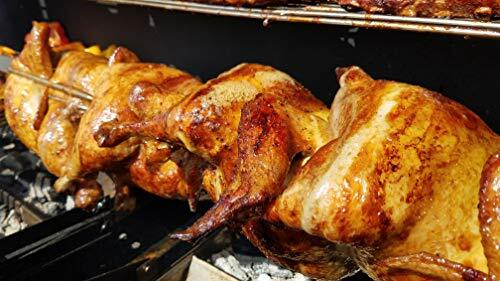 While the grease tray underneath has the capacity to handle that volume of drippings, I would personally recommend placing some heavy duty aluminum pans under the birds, with quartered red potatoes and onions to absorb the smoky juices. When it comes to larger animals on the spit, the devil is in the details. 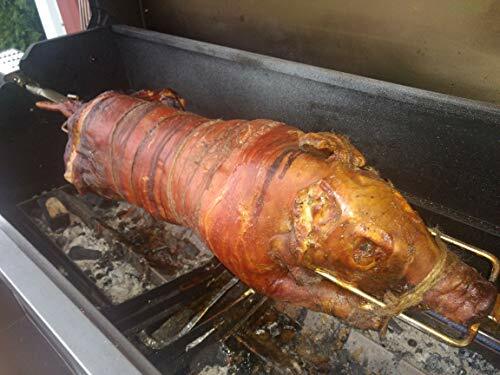 You might hear people throwing around the phrase “Whole Hog.” Really, though a whole hog is defined as a pig with a 240-pound live weight. The Smoke Daddy Elite Spit Roaster simply isn’t large enough or strong enough for a porcine beast of this magnitude. What you are really looking for is a suckling pig or small pig. If you can find a local farmer or CSA that raises pigs, they will have animals like this available for sale at various times of the year. A local butcher, especially a country butcher might also be able to point you in the right direction. The spit is 48-inches long. The primary grill grates offer a whopping 912 square inches of cooking space. The large warming rack is 288 square inches and is just big enough to hold a trimmed rack of spare ribs. The rear-mounted propane burner helps with consistent heating and if you set it up just right, you can use it to get the charcoal burning. It also has an automatic igniter which spares you having to hassle with a stick lighter. The 48-inch spit is heavy duty and the motor is strong enough to handle some serious weight. Still, try not to load it with more than 90 pounds of meat. The drippings and ashtray at the bottom help dispose of ash and leftover grease. The stainless steel charcoal trays also help you to get rid of unburned coals. The grill grates can then be scraped down and any excess soot can be wiped away. The Smoke Daddy Elite Spit Roaster comes with a 2-year limited warranty. 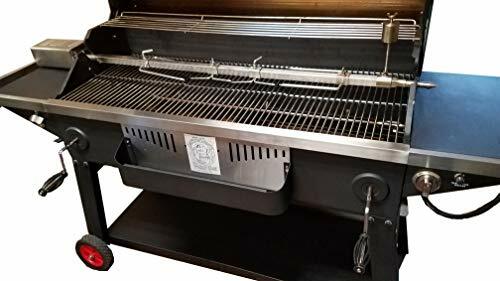 If you want an easy to use charcoal grill, that also shines as a rotisserie and a barbecue, then the Smoke Daddy Elite Spit Roaster needs to be at the top of your list. It can do pretty much anything you ask it to do. The addition of the propane burner in the back even makes it easy to maintain consistent heat, while enjoying the flavor of real charcoal.